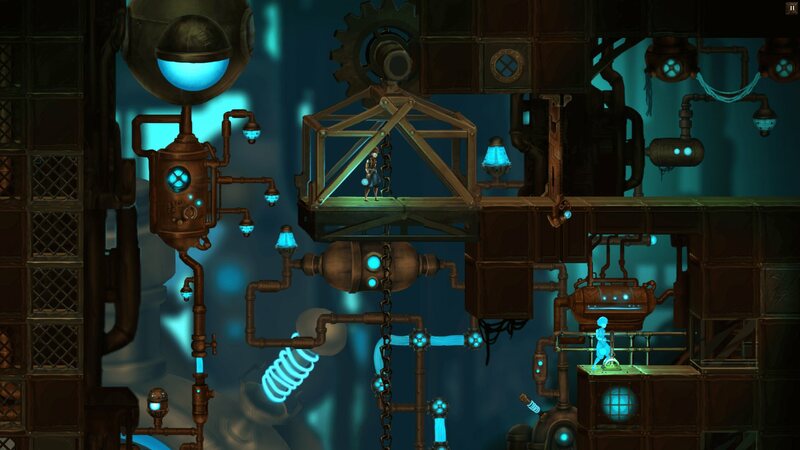 The Greenlight Groove: ‘ClockWork’ and… more! In the ruins of a dead world stands the great city of Watchtower. The city has survived for four hundred years, longer than most of its citizens can remember. A few whisper about the time of the great plague; a time when the desperate survivors grew so afraid for their fleshly bodies that they encased themselves in metal ones – bodies that would rust and break down, but never sicken and die. Since then they have waited, counting the days as the city falls into ruin. Marty Thinks 4th Dimentionally is an isometric 3D puzzle platformer where you play as a small robot on a journey to find his creator. With the aid of time travel, MRT-I (pronounced “Marty”) is able to work together with past versions of himself to overcome any challenge. In the game, the player is presented with challenges that require multiple people working together to succeed. By playing out partial solutions and then resetting time, the player can work with their past to succeed.